It was in the 1960s that the term ‘regional jet’ emerged as indicative of short to medium range turbofan powered aircraft which, due to the comparatively small size predicated to shorter ranges and hence with lower fuel requirements, carried fewer passengers than narrow-body airliners. Fifty passengers was the benchmark which later crept up to a hundred as time went by. Possibly, the United States (US) airline deregulation fiat in 1978 was a big boost for the regional jet. The older regional jets were the Yak-40, Aerospatiale Corvette, British Aerospace BAe 125 and BAe 146, Dassault Falcon 20, Fokker Fellowship F28, British Aircraft Corporation BAC One-Eleven and Sud Aviation Caravelle. During the 1990s, the modern regional jets made their appearance with Bombardier’s Canadair Regional Jet series followed by C-Series, Embraer’s ERJ 145 and E-Jets series, Antonov An-148, Sukhoi Superjet 100, COMAC ARJ21 XiangFeng and Mitsubishi MRJ70. With advances in technology, the narrow-body single-aisle airliners are steadily approaching the size and range of wide-body jets and Boeing is talking of a New Mid-size Airliner. Meanwhile, the larger of the regional jets such as the Embraer E2 and C-Series are approaching narrow-body configuration and are being referred to as ‘cross over’ airliners. Asia, traditionally lagging behind the US and Europe in aviation timelines, is now re-discovering the regional jet. According to a report by the Centre for Asia-Pacific Aviation (CAPA), global trends highlight the challenges faced by regional jets with Europe leading the steady reduction in number of orders. However, the ratio of aircraft orders to aircraft in service is higher than the rest of the world in Asia Pacific and the Middle East regions. Orders are not necessarily an indicator of the demand in the future; but are driven by a complex range of factors including technological changes, aircraft pricing, airline profitability, oil prices, age bracket of aircraft in service in airlines and innovations in airline business models. However, the downward trend worldwide which is read by some analysts as waning of the regional model vis-á-vis the narrow-body one, is not visible in Asia yet. As mentioned earlier, the regional jet is fast approaching the narrow-body size and passenger capacity. 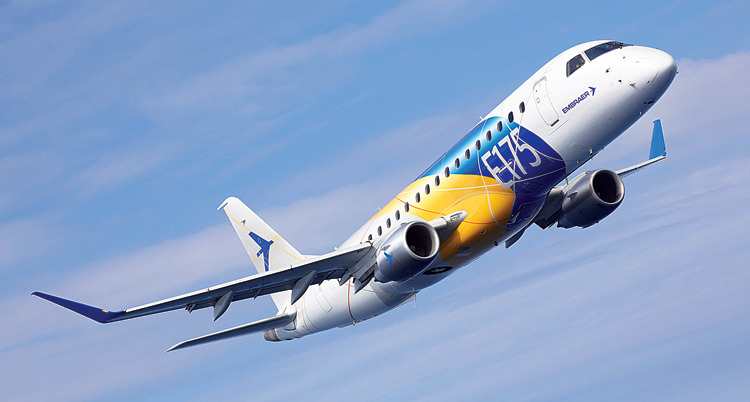 Embraer now looks at a ‘sub 150-seat category’ of aircraft as the regional jet in the near future and has recently published Embraer’s Market Outlook 2018 which sees Asia Pacific and the Middle East as the fastest growing markets over the next two decades. Of a projected 10,550 sub-150-seat aircraft expected to be delivered worldwide moving forward towards 2037, 28 per cent i.e. around 3,000 aircraft are expected to be delivered to the Asia Pacific region. Embraers’ projection is based on the Asian middle class air traveller category to burgeon in the coming years. It quotes a report by the Organisation for Economic Cooperation and Development (OECD) that predicts that the Asian middle class will reach 3.3 billion by 2030 and that would have positive implications for air traffic in Asia. 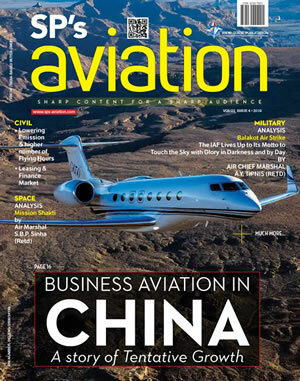 China is intensifying efforts to bring about structural improvements aimed at increasing its air transportation machinery and its Regional Aviation Policy is aimed at improving connectivity through start up airlines being encouraged to reach small and medium sized cities with regional aircraft, both jets and turbo props, with seating capacities lower than 100. In a similar Market Forecast last year Bombardier, covering the 60-150 seat segment, projected that the Asia Pacific region defined by Bombardier as Asia without Greater China, would show impressive growth over the next two decades. According to Bombardier, the number of aircraft in this segment expected to be delivered into this region is 2050. Strong GDP growth, a burgeoning middle class and an increasing demand for more city pairs and higher frequency of flights between small and medium sized cities and towns are seen by Bombardier as the factors driving growth in this market. Bombardier claims that 60 per cent of all the routes being flown currently, demand capacity for less than 150 passengers per day and that, within the next twenty years, intra-regional traffic will account for 80 per cent of all demand with the majority of passengers taking short haul flights (less than 500 nm or 925 km). Bombardier sees this drive for domestic and regional connectivity as implying that the fastest traffic growth in the region would be seen in small and medium sized cities with challenging airports. This would mean an increased number of point-to-point routes where the traffic is insufficient to allow economical operation of a larger single-aisle aircraft. To summarise, there would be an increasing demand for regional jets in Asia. Both China and India have had government initiatives to promote regional and remote area connectivity by air. While China is raking up commendable successes, Indian regional connectivity is sluggishly moving towards objectives which are laudable, but appear unattainable at the moment. 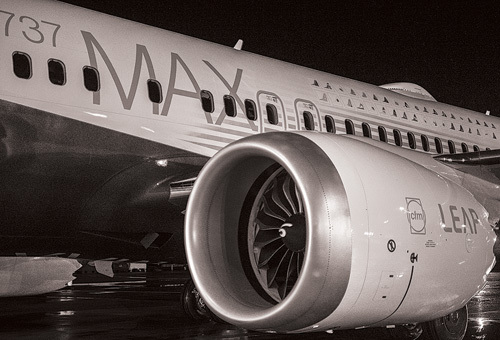 Re-engined narrow-body airliners such as the Airbus A320neo and Boeing 737 MAX are ruling the roost, but are unable to operate from some of the regional airports. Regional airlines are defined as airlines connecting metros within one region—roughly corresponding to the four Flight Information Regions (FIRs) in India, to any non-metro airports. As far as regional airlines are concerned, success has been a distant dream. Zoom Air with two CRJ 200LRs and another that did not become operational any time, Paramount Airways with two Embraer 190s, Star Air with two Embraer 145LRs and Air Costa that started with Embraer E170, added Embraer 190s/195s, ordered 50 Embraer E2 Ejets in 2014, but cancelled the order later, maximum fleet strength ever reached six, have been the sad stories of regional jets in India. Turboprop regional aircraft Q400 and ATR family have, in fact, performed better with airlines although it is pertinent to note that these were operated by airline companies with deeper pockets than the regional ones mentioned earlier and that may have played a part in the success story of the turboprop airliners as compared with regional jets. An interesting tidbit that deserves mention here is the fact that there are speculative reports about some Indian regional airlines actively considering acquisition of Beriev Be-200, a turbofan powered seaplane. As India’s Regional Connectivity Scheme permits seaplanes on some routes, this atypical ‘regional jet’ could well fly in Indian skies and possibly in the skies of other Asian nations in the near future. As Indian metros get distended beyond their handling capacities and regional airports remain underdeveloped, Indian airlines, the majority being in the low-cost sculpt, are looking at the Airbus A320neo and Boeing 737 MAX for expanding their operating envelopes to Asia and the Middle East and to the induction of wide-body aircraft for services to Europe, Australia and eventually to Africa and the Americas. 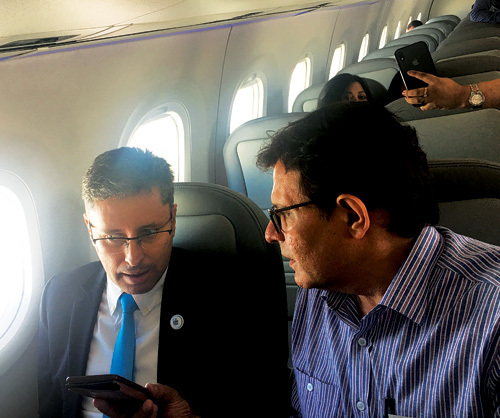 The induction of regional jets into domestic airlines for domestic traffic is predicated to the degree of success of the regional connectivity schemes and related initiatives. 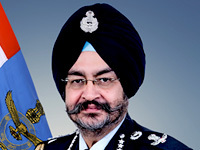 The pace is slow and listless, but it is quite evident that, if regional jets are to proliferate in India, as they appear to be doing in the rest of Asia and as projected by the leading manufacturers of regional jets, the infrastructure woes of airports in Tier-II and Tier-III cities, will have to be addressed with increasing sense of urgency. Only then will the true potential and comparative advantage of regional jets over larger airliners can be exploited in pursuit of India’s ambition to become the third largest civil aviation market within the next decade.